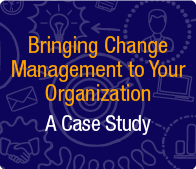 Here’s a chance to hear unbiased, direct “testimony” from a client (Mercy Healthcare System) who saw the need for a change management methodology, selected AIM, and deployed it with great success. What experiences did they have that you can learn from and apply in your own organization? Download this webinar now, and get lessons learned!